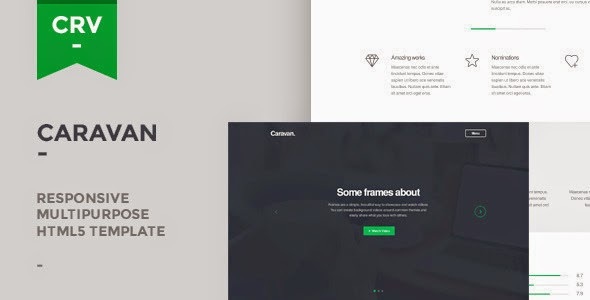 Caravan is a html5 multipurpose template for business, creative company or personal website. It’s fully responsive and available for all screen sizes, from desktop and notebooks to smartphones and tablets. Template focuses on displaying a high quality content and can be customized easily to suit your wishes. Item Reviewed: Caravan Responsive Multipurpose Template 9 out of 10 based on 10 ratings. 9 user reviews.